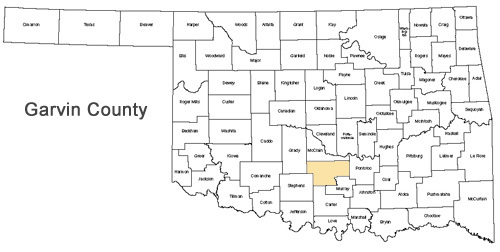 Garvin County, population 27,247, is located directly south of McClain County. In area, it is the largest county in the district, with 807 square miles. Pauls Valley, the county seat, is the county’s largest city, with a population of approximately 6,256. Lindsay is the second in population with 2,889 residents, followed by Wynnewood, with 2,367. Eight local law enforcement agencies serve Garvin County: Garvin County Sheriff’s Office, Pauls Valley Police Department, Lindsay Police Department, Wynnewood Police Department, Maysville Police Department, Stratford Police Department, Paoli Police Department, and Elmore City Police Department. Also located in Garvin County is the Pauls Valley State School for the mentally impaired. 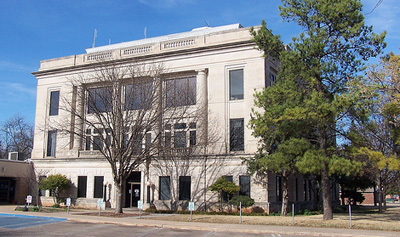 The District Attorney’s office is located in the Garvin County Courthouse on the corner of Grant and Walnut streets. The Garvin County legal staff consists of approximately 7 staff members including A.D.A.’s, support staff, victim-witness coordinators, and investigators. From time to time additional attorneys and/or support staff are reassigned from Cleveland County to Garvin County as necessary.